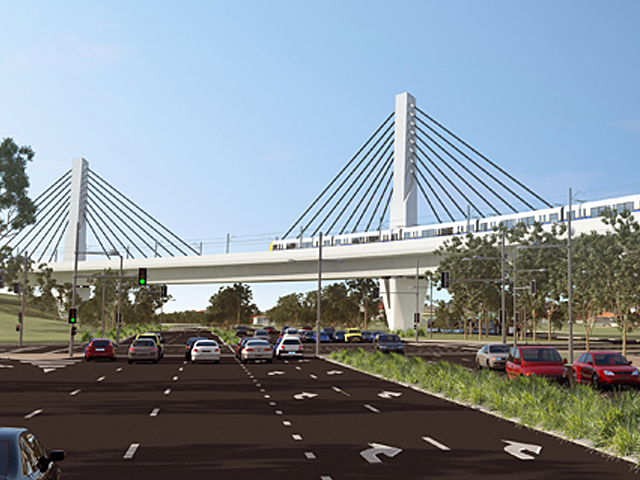 Utilising innovative solutions to overcome the odds, Sydney’s Skytrain bridge is one of the most technically advanced structures in the Sydney Metro northwest project. 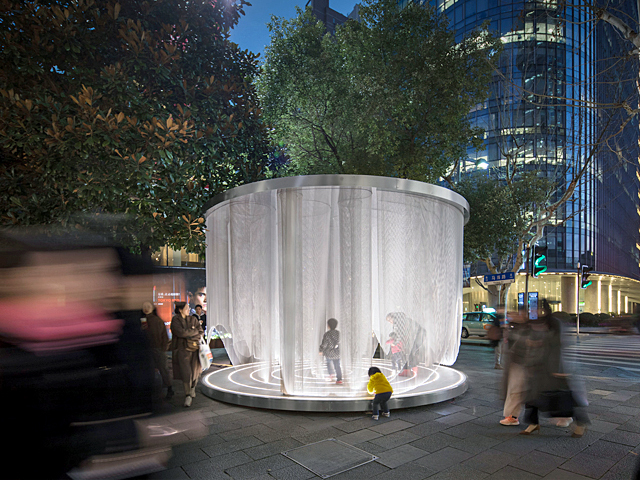 Find out how this incredible structure was developed. 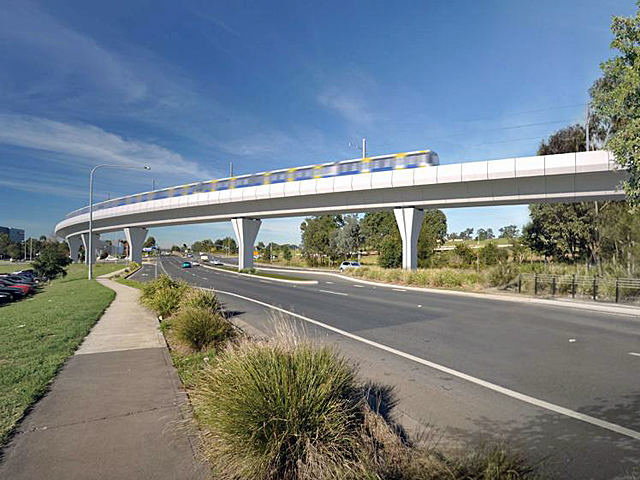 Standing more than 10 metres above Sydney is four kilometres of elevated rail viaduct that runs from Bella Vista to Rouse Hill. 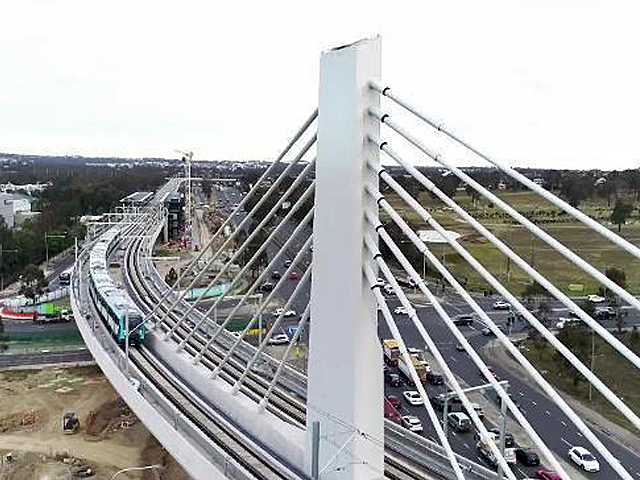 This structure is called the Skytrain and it forms part of the Sydney Metro Northwest railway – a vital link on the $8.3 billion project to connect the booming suburbs with the CBD. 130 concrete piers spaced 39 metres apart support the rail viaduct, which will carry a new metro train every four minutes in each direction during peak times. Part of this rail viaduct crosses the major road corridors Windsor Road and Old Windsor Road, so as to minimise the impact of future trains on the traffic, Australia’s first curved cable-stayed railway bridge was constructed as part of the project. The Skytrain bridge deck is supported by 127 steel cables that stretch to a combined 173 kilometres. Two towers reach 45 metres above the road and are each filled with 336 tonnes of concrete to hold the cables supporting the deck. The deck itself is made of 88 concrete segments, each weighing anywhere between 70 to 140 tonnes. Designed by SMEC and built by Salini Impregilo, the construction of a curved cable-stayed bridge across a busy road network required innovative solutions. Overcoming these challenges has seen the project win multiple awards, taking home the 2018 Project of the Year award and 2018 Global Best Project award for the railway sector from Engineering News-Record magazine in the US. 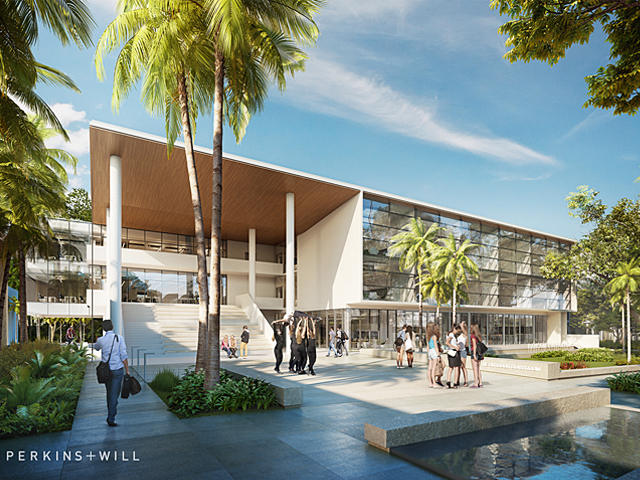 It also achieved top ratings from the Infrastructure Sustainability Council of Australia (ISCA) for the sustainability elements of its construction and design. The project began in 2014 and was split into three technical stages: erection of the viaduct, its spans and the cable-stayed bridge itself. One of the major restrictions during construction was to minimise the amount of traffic disruption in the area. More than 50,000 motorists used Windsor Road and Old Windsor Road every day in 2015, according to data from Transport for NSW. The company used mobile horizontal launching gantry cranes to minimise the impacts construction would have on local traffic and had been used previously in Dubai to build an elevated road viaduct. The gantries, each 150 metres long and weighing 600 tonnes, sat 30 metres above the ground and were able to pull up the 1200 concrete segments that would make up the Skytrain deck into the correct position. Once properly aligned, steel cables were inserted through and tensioned to give strength to the structure. 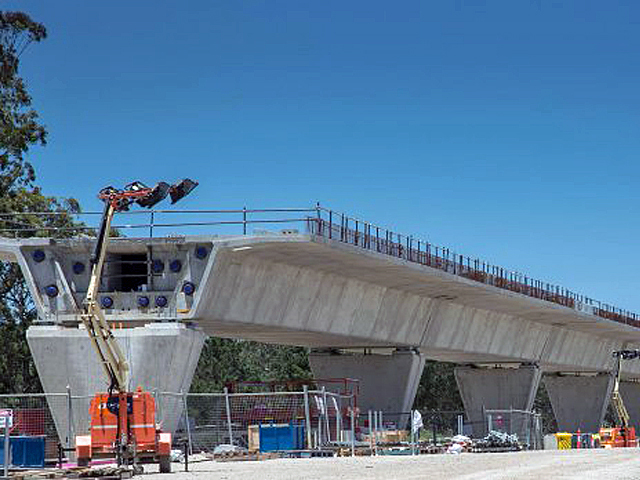 Francesco Pecora Lauria, the Design and Technical Manager for Salini Impregilo Australia, who worked on the construction of the bridge, said the gantries required significant modification to build a rail viaduct in comparison with an elevated road. The contractor found the gantries were faster and more precise than conventional methods such as scaffolding or falsework, which would have required a large amount of ground machinery and a crane to put the girders into place. Each gantry was able to hoist up to 20 girders at a time, with each span of the viaduct composed of 10 girders, working at a pace of up to two spans per week. 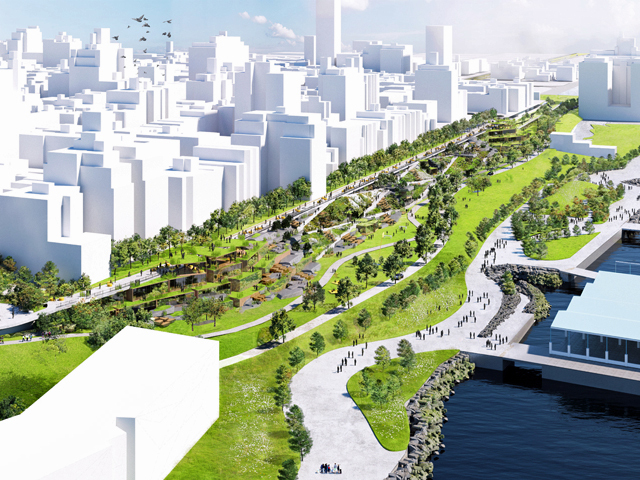 Pecora Lauria said they did not have the luxury of being able to use a traditional span-by-span methodology to link the bridge between two piers, as the curve of the bridge made this impossible. Similarly, they could not use a traditional cantilever method to close the span as there were important torsional and uplift forces located in the piers that needed to be taken into account. A hybrid methodology was implemented to form the deck that used a series of smaller cantilevers with infill. The smaller cantilevers were constructed on temporary and permanent piers which allowed the gantries to move over them at Old Windsor Road and create the infill structures. Salini Impregilo is unaware of any other project in the world that has built a bridge through this specific methodology. Generally, with a cable-stayed bridge, to implement control over the geometry of the deck, forces can be applied to the stay cable. However, the stay cables on the bridge could not be installed on the project until the very end, meaning each concrete segment required precision placement. “We had a strict regime to control the application of structures and measurements. We did checks before, during and after each step and on every element,” Pecora Lauria explained. A 3D model of the bridge was created during construction that allowed the team to input the various forces and deflections to ensure everything was correctly positioned. 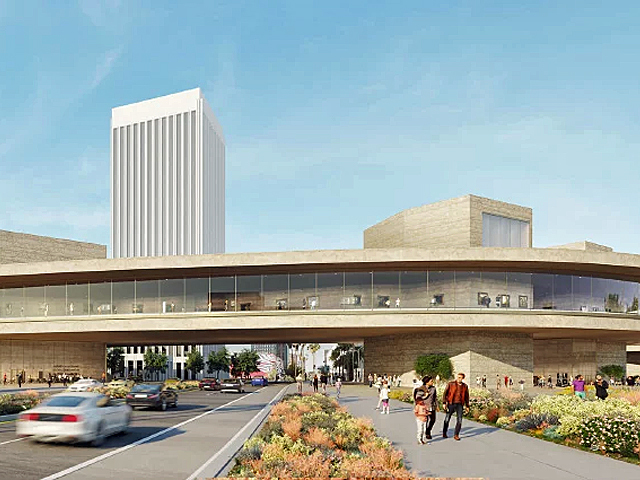 The model was a fundamental tool for construction as Pecora Lauria said there were no second chances on this structure, with strict requirements to ensure the structure stayed accurate to the plan. 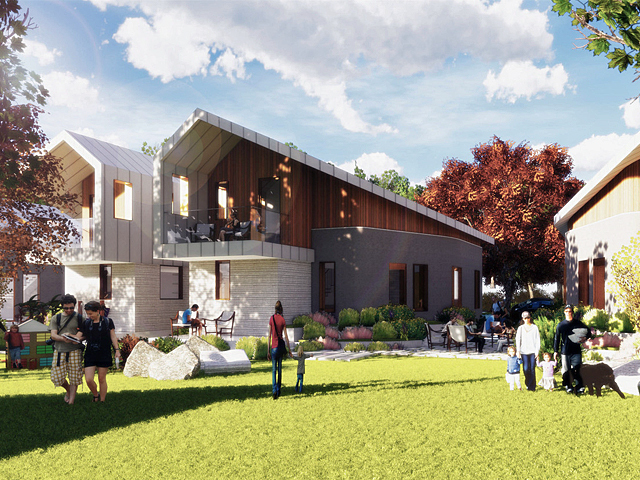 Sustainability was an important factor in the construction and design of the structure. 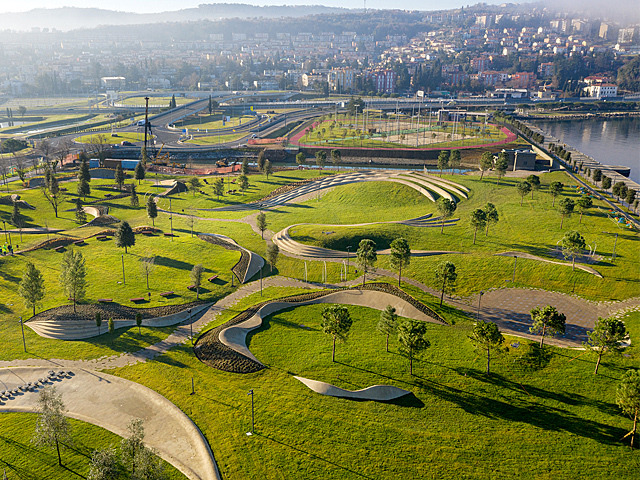 To meet the strict sustainability requirements Salini Impregilo created a custom concrete mix that replaced 30-40 percent of the cement with alternative materials such as fly ash. Additionally, recycled water was used instead of potable water to mix the cement. A dedicated concrete plant was set up near the site to produce the girders, allowing the company to ensure its segments could be cast to individual specifications to fit with the others along the span of the bridge. There was a very low number of safety incidents on site. With more than 4000 workers from 50 different countries, the project maintained Lost Time Injury Frequency Rates of 0.75 on a total of more than four million working hours. 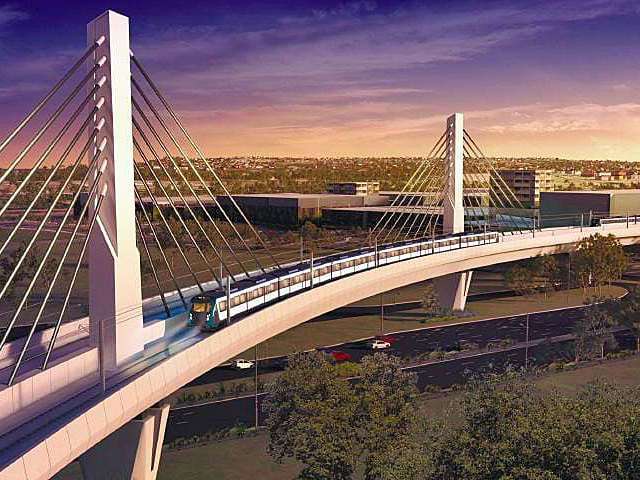 The viaduct and Skytrain bridge were completed in 2018 and will open in the first half of 2019, where Australia’s first fully automated metro rail system will run.